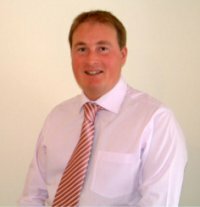 A member of both the Personal Finance Society and the Chartered Insurance Institute, Mark has over 23 years experience in financial services. We believe that the fees we charge our clients are very competitive when you compare the market and consider the services we are able to provide! We rely on word of mouth for new business so our customer satisfaction levels are high and we are proud to say they are! Looking for a Financial Adviser in Scotland? We all have financial needs and finding an affordable solution to meeting those needs is an area that many people seek advice upon. At Financial Independent Solutions Ltd we look to provide you with professional and impartial advice. We always look to find solutions for your current and future needs that work throughout the many different stages of your life. As an Independent Financial Adviser in Glasgow and Central Scotland, our business has no links or ties to any one product provider. We can access products from across the whole market place. To find out more, why not call us at 01698 854422 or drop us an Email (mmclair@financialindependentsolutions.co.uk) — our first meeting is always free and carries no obligation. If you are looking for a Financial Adviser in Glasgow or Central Scotland then call Financial Independent Solutions Ltd today. NOTE: The guidance and/or advice contained within the website is subject to the UK regulatory regime and is therefore primarily targeted at customers in the UK. No218279. Castle Chambers, 67 Main St, Bothwell, Glasgow G71 8ER. We are entered on the FCA Register No. 429859 at www.FCA.gov.uk/register.